Oregon’s game wardens are members of the Fish and Wildlife Division of the Oregon State Police. As accredited troopers, these individuals combine police presence and enforcement action with public education to manage the activities of hunters and anglers throughout the state. Oregon has a tremendous of amount protected wilderness, from its costal region along the Pacific to everything from high desert to active volcanoes in the interior of the state. Many residents rise to the challenge of protecting these wildlands by joining the Fish and Wildlife Division of the Oregon State Police, though only a handful of open positions become available each year. Applicants for these positions must meet a rigorous set of standards, and those who have a detailed knowledge of the requirements and selection process typically have the best shot. The ideal candidate will have a strong sense of justice combined with a passion for wildlife advocacy and conservation. The demanding set of responsibilities these law enforcement officers engage in every day – from conducting investigations and sting operations to remediating damage to fish and wildlife habitats – requires candidates with a diverse set of skills. Applicant must be ready to demonstrate their expertise in these areas. License: A valid Oregon-issued driver’s license is required. Individuals must agree to participate in driver training programs through the state as they arise. Academic Credentials: High school diploma or its equivalent; an associate’s or bachelor degree in law enforcement, criminal justice, resource management or biological sciences may be specially considered. Hearing: The applicant must have hearing adequate to perform all the essential duties and functions of a Warden. Vision: Visual acuity not less than 20/40 in each eye without correction and corrected to 20/20 in each eye. Candidates should have standard binocular peripheral vision with no conditions that would endanger themselves or others. Physical Readiness: The applicant must be in sound physical condition and able to swim. 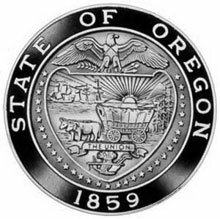 The Oregon State Police rewards its troopers for educational achievement with a 3% increase for troopers with an associate’s degree and a 5% increase for those with a bachelor’s degree.